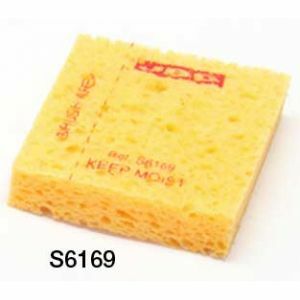 The sponge is the softest cleaning method to eliminate excess in any soldering or rework job. It allows you to maintain tips continuously clean by reducing their wear. It has been designed to be placed into the tip wiper. This way you just need one hand to use it.